Excellent customer service! Always takes care to not make any mess and does a great job of cleaning up after him self. 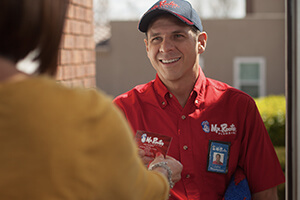 Bob's the best â€¦ we appreciate his competence and timely help when we need it! Always friendly and timely service. He was very polite, very careful not to track in anything from outside in. Got the job done in a sufficient amount of time. we Highly recommend him. Thanks for taking care of us so quickly. We really appreciate your good--and careful--work.